Swooning! 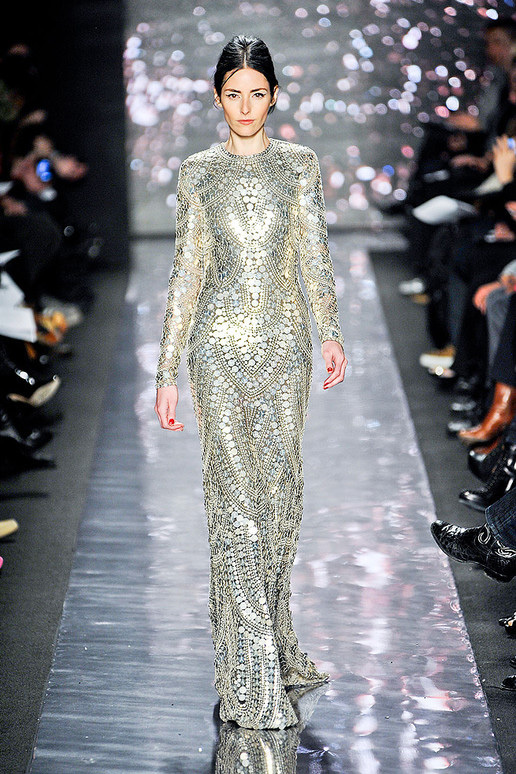 Naeem Khan’s fall 2012 collection is stunning! Mr. Khan’s gowns are always deliciously bejeweled. I dream of wearing one to red carpet event or maybe just lying around the house. 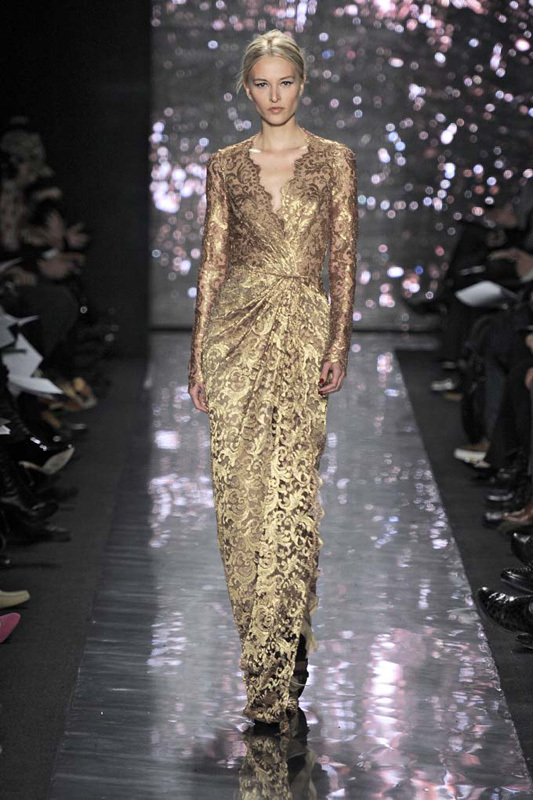 Oh trust me, if I owned a dress this gorgeous I would definitely turn my living room into a Parisian runway. 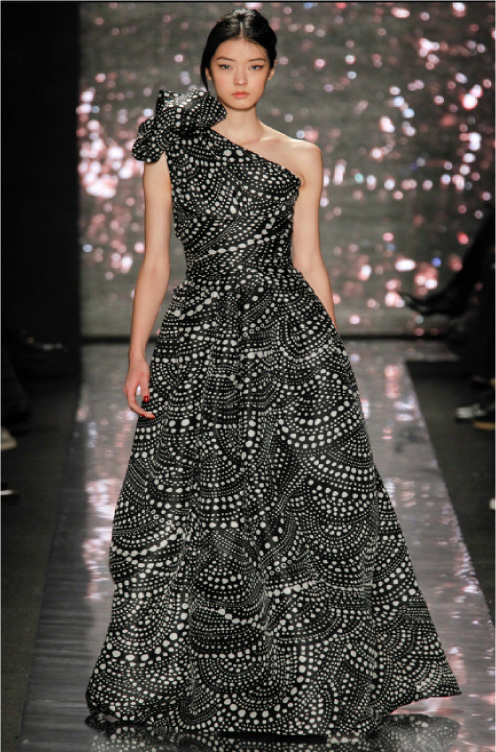 It would be crime not to take a gown this perfect out many nights on the town.